Good morning. See details for tomorrows session, week 6 of our Mississippi Cyclocross Project. Meeting this coming Saturday, October 6th. This upcoming Saturday, October 6th we will meet at the Freedom Ridge Park. Our meeting time is 10am, please arrive 15 minutes early to be able to be ready by 10am. T-Shirt: A few parents have reached me regarding another t-shirt order. Please reply to this email if you’re interested an ordering t-shirts and the quantity. A new order will be made if enough parents are interested. Cycling Gear: A 2nd shipment should be received within the next few weeks. All orders for August have been received and I’ll bring them available at the Thursday night event. If you wish to have the gear before our October events; Mississippi Cyclocross Cup Series, www.mscxcup.com, you will need to order soon as it will take 4-5 weeks to produce and deliver.Check our Mississippi Cyclocross Project Club store. We have samples for sizing. No minimums and all items are shipped directly to you. Adult (men & women) sizes as well as kids gear. Get all the details at http://ridebikercustom.com/club/MSCXProject. Final Ridgeland Weeknight ‘Cross & MTB Racing Series p/b Mississippi Cyclocross Cup in Ridgeland, MS. This upcoming Thursday, we will host the finale of our Ridgeland Weeknight ‘Cross & MTB Racing Series. This event takes place at the Ridgeland Trail, on 521 Giles Ln, Madison, MS 39110. A great way for the kids and parents to enjoy a community based event with like minded friends! Join us to celebrate a great series. We will have a Taco Truck onsite! Kids races are free, however all kids 6 and over will need to have a USA Cycling License to participate. We will have the license form at the event. All details available at http://mscxcup.com/weekday-cyclocross-series. Please reach me if you have any questions. Thank you for your support. Take care and have a week! Great practice yesterday, the kids are doing fantastic and love their determination. See details for this next week, week 5 of our Mississippi Cyclocross Project. Special Meeting Location for this next Saturday, September 29th. This upcoming Saturday, September 29th we will meet at the Ridgeland Trail, on 521 Giles Ln, Madison, MS 39110. This is the same location we host the below weekend series. Our meeting time is 10am, please arrive 15 minutes early to be able to be ready by 10am. T-Shirt: T-shirts have arrived and we will have them available on Saturday for those who pre-ordered. A new order will be made if enough parents are interested. Cycling Gear: All orders for August are being proceeded and should arrive this month. If you wish to have the gear before our October events; Mississippi Cyclocross Cup Series, www.mscxcup.com, you will need to order soon as it will take 4-5 weeks to produce and deliver.Check our Mississippi Cyclocross Project Club store. We have samples for sizing. No minimums and all items are shipped directly to you. Adult (men & women) sizes as well as kids gear. Get all the details at http://ridebikercustom.com/club/MSCXProject. Final Ridgeland Weeknight ‘Cross & MTB Racing Series p/b Mississippi Cyclocross Cup in Ridgeland, MS. This upcoming Thursday, we will host the finale of our Ridgeland Weeknight ‘Cross & MTB Racing Series. This event takes place at the Ridgeland Trail, on 521 Giles Ln, Madison, MS 39110. A great way for the kids and parents to enjoy a community based event with likeminded friends! Join us to celebrate a great series. We will have a Taco Truck onsite! Hello Parents/Supporters. See details for this next week, week 3 of our Mississippi Cyclocross Project. Meeting at our normal location this next Saturday, September 15th. Next week, week 3 of our program we will go back to meeting at Freedom Ridge Park at 253 W School St, Ridgeland, MS 39157. Our meeting time is 10am, please arrive 15 minutes early to be able to be ready by 10am. T-Shirt: We have created an order form for the program shirts. They are available in Adult & Kids sizes. The Pre-Order sale will close on Sunday, September 16th. The order will be placed on Monday, September 17th. Get details at http://mscxcup.com/store. Cycling Gear: If you wish to have the gear before our October events; Mississippi Cyclocross Cup Series, www.mscxcup.com, you will need to order soon as it will take 4-5 weeks to produce and deliver.Check our Mississippi Cyclocross Project Club store. We have samples for sizing. No minimums and all items are shipped directly to you. Adult (men & women) sizes as well as kids gear. Get all the details at http://ridebikercustom.com/club/MSCXProject. Ridgeland Weeknight ‘Cross & MTB Racing Series p/b Mississippi Cyclocross Cup in Ridgeland, MS. This upcoming Thursday, we will meet at the RIdgeland Trail for our Week 2 of the Ridgeland Weeknight ‘Cross & MTB Racing Series. Kids races are free, however all kids 6 and over will need to have a USA Cycling License to participate. We will have the license form at the event. All details available at http://mscxcup.com/weekday-cyclocross-series. 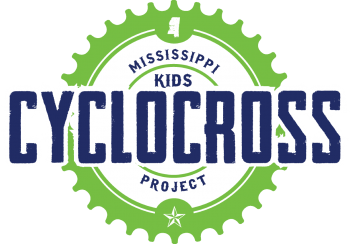 Mississippi Kids Cyclocross Program: Details for Week 2, Jonathan Page Weekend Clinic and more. Hello Parents/Supporters. We had a wonderful turnout yesterday as we kicked-off our 2018 Mississippi Cyclocross Project, our free curriculum based cycling program. During the session we covered the following important area. Check Saddle hight and make sure bike in good conditions. Important items covered for week two. Ridgeland ‘Cross Weeknight ‘Cross & MTB Racing Series p/b Mississippi Cyclocross Cup in Ridgeland, MS. The series spans four Thursdays during the month of September. Race dates are: September 6th, September 13th, September 20th & September 27th. All kids races are FREE of charge, however we ask parents to register them early via the online registration website. Adults can participate as well, this is how we off-set the cost of facilitating these sanction events. All details available at http://mscxcup.com/weekday-cyclocross-series. A Chat with Jonathan Page. A Special Questions and Answers session will take place on Friday, September 7th with Jonathan Page at Burgers & Blues, 1060 E County Line Rd #22, Ridgeland, MS 39157 from 6-8pm. Please join us as the kids will get to have an opportunity to get Jonathan Page to autograph special edition posters we have created for the event! IMPORTANT: The Kids project will meet on Sunday, 9/9 instead of Saturday as Jonathan Page will facilitate the kids session that day! Adult clinic: Jonathan will host an all level adult clinic, great opportunity to learn about the sport so that you can join your little one during the events. Register today for the weekend events at https://www.bikereg.com/jpageclinic. About Jonathan Page: Multiple Time USA Professional Cyclocross Champion & 2006/2007 UCI Cyclocross Worlds, Silver Medal on Friday, September 6th-9th for a weekend of cyclocross Q&A, clinic and racing! Jonathan Page, Multiple Time USA Professional Cyclocross Champion & 2006/2007 UCI Cyclocross Worlds, Silver Medal. Get to know Jonathan by watching a great documentary created by our friends at FloBikes https://www.flobikes.com/video/6112321-the-last-ride-of-jonathan-page. Share our program! Help us get more kids active, riding bikes and make our Central Mississippi an active/healthy community! Not too late to register kids in our program, share with your friends! All details at www.mscxproject.org/register. Please reach me if you have any questions. Thank you for your support. Take care and have a great Labor Day weekend!